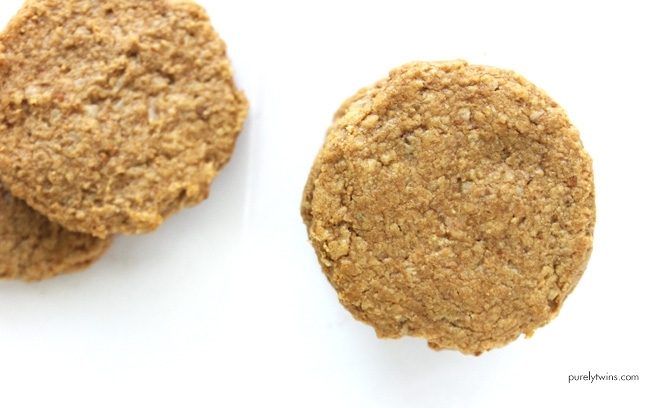 10 minute cookies made from just 4 ingredients! 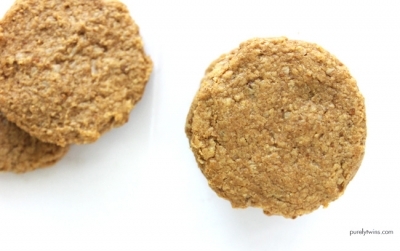 Protein cookies made without gluten, grains, eggs, and dairy. Peanut butter and gelatin to make a protein rich cookie. Mix together until it forms a dough. Flatten cookies if you desire a flat cookie. Let cookies cool on cooling rack a few minutes. If you flatten cookies it provides a more crunchy cookie. Can enjoy cookies raw for a yummy dough ball cookie or dehydrate them for a few hours.